Oopsies it’s been a long time, but for some reason this last book of short stories took quite awhile to finish. I must say, although I really enjoyed this collection, it didn’t quite make me itch to jump on a boat like “We, The Drowned.” This remains a puzzle to me since the stories included in “Stories of the Sea” by Everyman’s Pocket Classics, is the ultimate sea-related compilation, with stories by Melville, Conrad, Bradbury, Poe, and pretty much everyone else important. Basically, it’s one of those books that’s great, not amazing, but also a necessary read because of the included authors’ places in seafaring literature history. I recommend reading it on the beach on a sunny day! I don’t recommend sailing through the Moskstraumen in Norway, the maelstrom that inspired Poe to write his story included in the compilation. 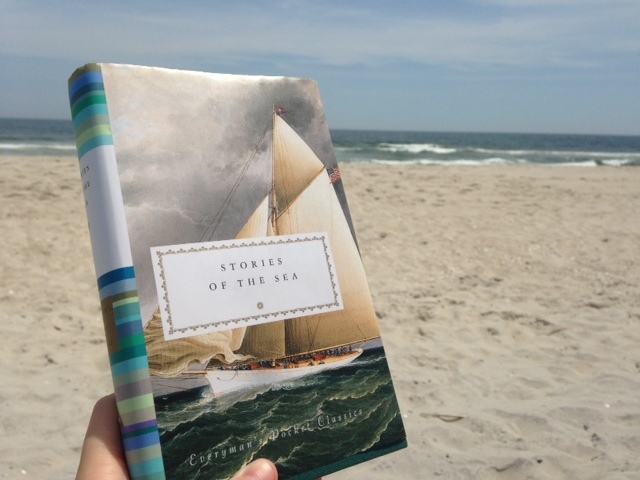 This entry was posted in Book Reviews, Fiction, Other and tagged book review, books, Edgar Allan Poe, fiction, Herman Melville, Joseph Conrad, ocean, Ray Bradbury, sailing, sea. Bookmark the permalink.